﻿ How long can Cyber Jihadis silence Rajeenas? A Muslim journalist V P Rajeena who works as a sub-editor with Jamaat-e-Islamiâ€™s Malayalam daily, Madhyamam, has brought out shocking revelations of how minor boys and girls are subject to sexual abuse by madrasa teachers. The post, made on her Facebook page led to a slew of abuses from Jihadists, Â which led to Facebook suspending her page temporarily. Rajeena, in a Facebook post gave an almost graphic account of her madrasa life from nearly two decades ago. She described how young students were sexually exploited by ustads (madrasa teachers). The details given by her were the result of a recent controversy over gender segregation in Farooq College, Â which is run by a Muslim management. 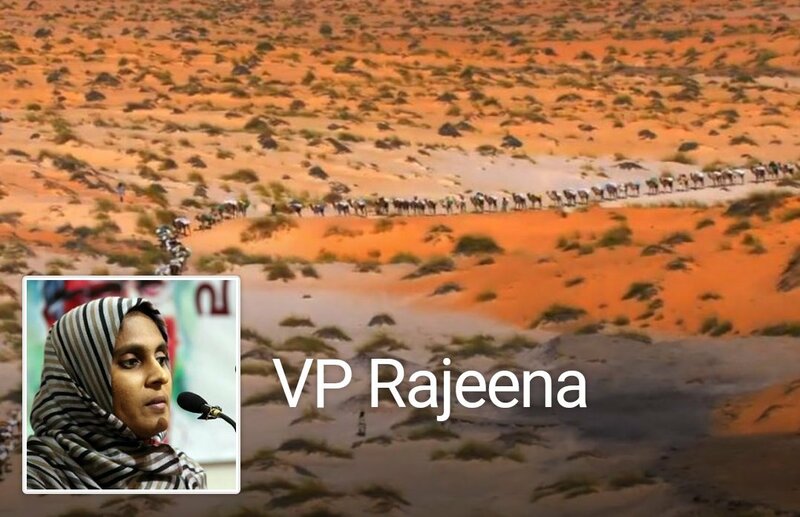 Following the barrage of threats, Rajeena wrote another post, where she declared that despite everything, she would remain fearless.”After I put up the Facebook post my account was blocked for some time and it later came back. But from Wednesday morning it was blocked again and came back on ThursdayÂ ” Rajeena is reported to have said. Hats off to this intrepid journalist.Now,what do the so called brainy intellectuals and Islamic scholars have to say about this?How many of them are truely willing to stand up for this brave journo?